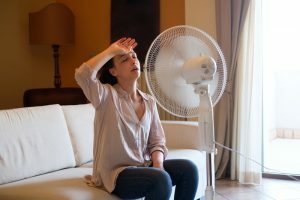 You may have read this title and thought, “well I already know the best way to stay cool—run my air conditioner at full blast all day, every day like I do every summer.” We get it, your cooling system is a necessity, not a luxury. But it’s no secret that this is expensive, and we’d like to help you cut costs at least a little bit! The good news is, there are ways to use your air conditioner more efficiently so that you’re not paying more than you need to on your cooling bills. This is vital for Florida residents since our “summers” are practically a 9-month affair. Keep reading for some great tips on staying cool while letting your air conditioner relax at least a little bit. The short answer to this is, if you want to prevent sudden AC repairs, right now is a great time! 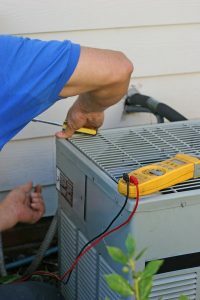 Most HVAC professionals will recommend that this service is done in the spring. This allows you plenty of time to get the service on your schedule at your convenience, without worrying about techs being too busy with emergency service calls. Of course, it gets warmer even faster here, so the earlier you get your tune-up, the better. There really is no better time than now to start preparing to use your air conditioner on an hourly basis. There are a couple of things you can do on your own, like cleaning debris away from the outside unit of your air conditioner and making sure you change the air filter of your HVAC systems every 1-3 months. But to truly protect the efficiency and performance of your air conditioner, you’ll want to invest in professional AC maintenance. Posted in Air Conditioning | Comments Off on When Is the Best Time to Schedule AC Maintenance?